The unique position of the vineyards allows them to benefit from the sea and mountain breezes, producing wines that are full in body and truly represent the characteristics of the region. Valentino Sciotti is involved with a number of wineries in Puglia, Campania (he is the man behind Vesevo) and his native Abruzzi. 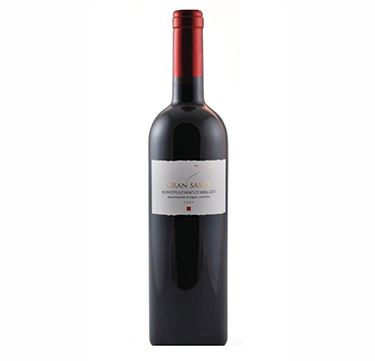 The Gran Sasso wines are made by young winemaker Marco Flacco and display a freshness and directness of fruit that is seldom found in this region.  Most Montepulciano at this price comes either from negociants buying bulk wines or from co-ops, neither of whom work as well or as closely with their growers as Valentino and his team. The grapes for this wine are grown in 15-20 year old vineyards in the production zones of Ortona, San Salvo and Pollutri. This wine is deep ruby red in colour with garnet reflections. It is clean, fresh and plummy on the nose, rich, supple and accessible on the palate. It is balanced and full-bodied with good tannins. The fresh, primary fruit characters are maximised by the fact that it does not age in oak, making it approachable and ready to drink.